The Primal Strips Hickory Smoked are based on soya protein and are surprisingly similar to real meat in taste and texture. Refined with selected ingredients and spices, creates a low-fat, protein-rich, delicious alternative to traditional Jerky. The Primal Strips Texas BBQ are based on soya protein and are surprisingly similar to real meat in taste and texture. 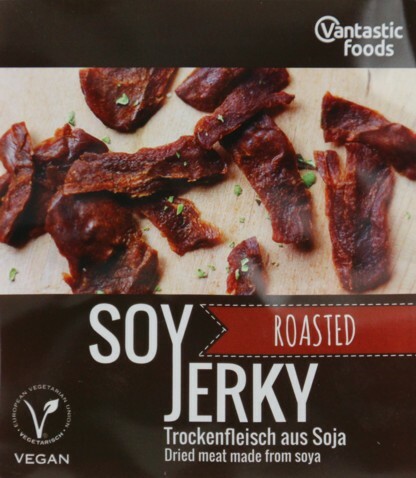 Refined with selected ingredients and spices, creates a low-fat, protein-rich, delicious alternative to traditional Jerky. The Primal Strips Teriyaki are based on wheat protein and are surprisingly similar to real meat in taste and texture. Refined with selected ingredients and spices, creates a low-fat, protein-rich, delicious alternative to traditional Jerky. The Primal Strips Thai Peanut are based on wheat protein and are surprisingly similar to real meat in taste and texture. Refined with selected ingredients and spices, creates a low-fat, protein-rich, delicious alternative to traditional Jerky. 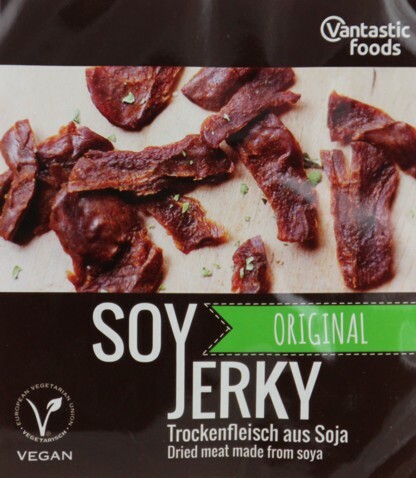 The classic of the dried meat snacks - the original Soy Jerky is an all-rounder, ideal for young and old and impresses with its smooth taste and perfectly balanced spices. 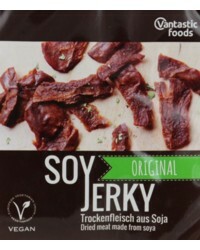 Soy Jerky of Vantastic Foods is a purely vegetarian, tasty and protein-rich alternative to Beef Jerky! These small taste miracles make an impression any time: directly from the bag, as a snack, on trips, at school, in the office or as a topping for salads or fried with dipping sauce. The hearty Soy Jerky Snack full-roasted flavor is at all times a complete pleasure. 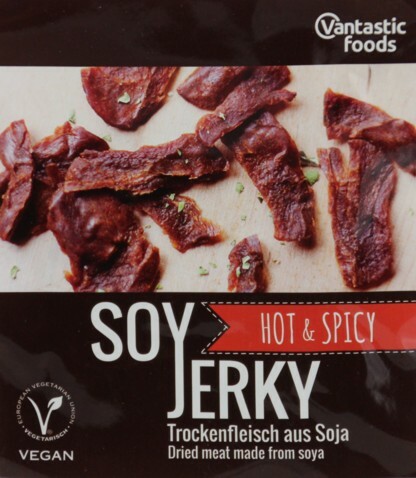 Our Hot & Spicy Soy Jerky provides just the right kick for those who like it sharper - a true classic favorite!